Forget about the new, smaller Xbox One — that’s old hat. There’s an even newer, even more powerful Xbox One launching in “holiday” 2017. It only has a codename right now: Project Scorpio. 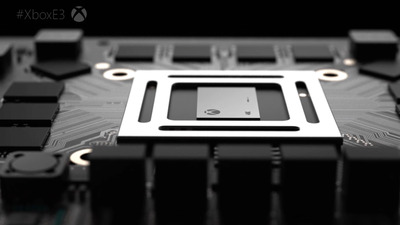 Project Scorpio is capable of producing 4K games (an even higher resolution than current HD standards), as well as powering virtual reality headsets like the Oculus Rift. Don’t worry: All your existing gamepads and Xbox One accessories (think: Kinect, driving wheels, etc.) 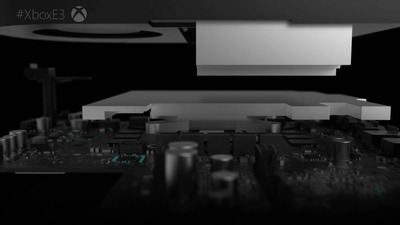 will still work with the new, more powerful Xbox One. Interesting, Microsoft says Scorpio is part of the “Xbox One family of devices,” a new way of referring to the Xbox One, Xbox One S, and this upcoming, more powerful game console. During the console’s announcement, Microsoft’s head of Xbox Phil Spencer said the console is being announced now so that developers have time to start working on games for it. Spencer said that 4K gaming and high-fidelity VR are the next steps for gaming, and this console is capable of delivering that future. “We’re moving ‘Fallout 4’ to VR, and to have a console that can support that at the resolution and speed that we want is magical,” creative director Todd Howard said of the new console. He’s speaking to the eight CPU cores and six teraflops of GPU processing power within the new system, making it a far more powerful system than the currently existing Xbox One. “Project Scorpio will be the next addition to the Xbox One family, and it’s ultimately the next step for delivering our vision for the future of gaming beyond generations,” Phil Spencer said. We’ll assuredly find out much more about the new Xbox One in the coming year — the price, what it looks like — but for now it sounds like Microsoft has a serious heavy-hitter new game console in the works. Maybe more importantly, this is a nod toward the changing nature of game console “generations” — a huge shift for the game industry and how we buy game consoles.